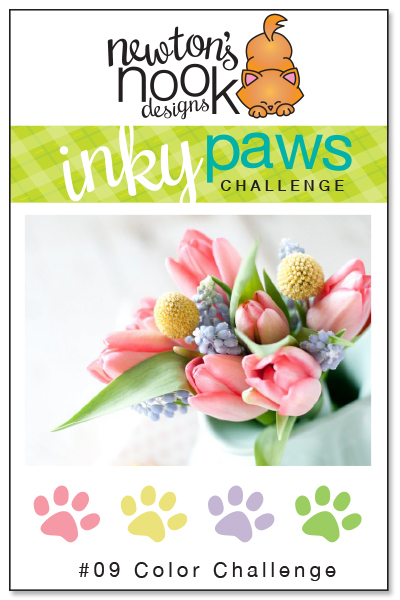 What fun soft colors on this challenge for Newton's Nook. I pulled out my soft pink, yellow, lilac and green and swiped them across a piece of white CS with a sponge dauber. Then I used a new die, called Heart Parade from Simon Says, to cut out the hearts. I cut it out again with pink CS and pieced the sponged hearts into the pink outline. I placed the Heart Parade onto an embossed panel of Ivory that was embossed with a Tim Holtz folder. On the bottom is Newton, colored with Copic markers from Newton's Antics. The sentiment is from the same set. I Stamped the image first with Memento London Fog, so that I could color with the no line technique. I think that he looks purrty soft and furry! Lastly, I sprinkled a few secquins for bling. As Always, thanks for stopping by and hope that your week is wonderful. I am wishing you a Pur-fect Day! 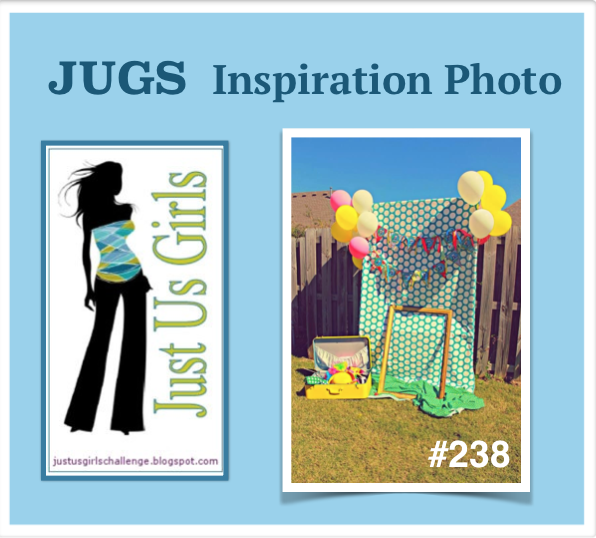 For the challenge at JUGS this week, it is an inspirational photo. This is such a fun picture with bright colors that it just says Party! So I made a birthday card with the colors and the image from Newton's Birthday Bash. Doesn't he have the cutest expression as he hugs that balloon floating up in the air? Newton is colored with copic markers, and I pieced the balloon with vellum, that was colored from the back. In reality, I could have just colored it and it doesn't look any different. 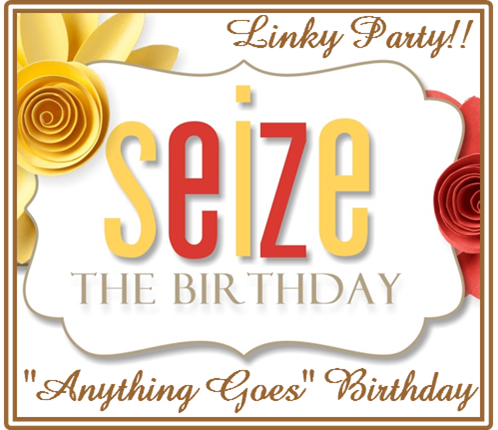 I am also entering this card in the Seize the Birthday Challenge, Anything Goes, no Toppings. I can always use a birthday card! Especially one a bright colorful one that could be used for anyone. Thanks for stopping by, I really do appreciate the comments. Well, this card is going gingham all the way! I chose the red gingham from Gina K for this card. What else goes with red and gingham.....Apples! Yes you guessed it, I stamped apples, from Marcella Hawley. So, to make this a little different, I stamped the image on the front, and on the inside using a stamp-a-ma-jig. That way when I used a die, to cut the window, you would see the image exactly the same. I did not color the image, but in the inside one, I used Wink of Stella clear on the leaves and red on the apples. I real life, it looks great. I decided that the front needed a border and made one with black and the larger and smaller die. A gingham bow and flowers were added to the bottom left of the window. An idea that popped into my head at 5:30 am before I got up today! So when you open it up, you can see the Birthday Greeting, from Simon Says Birthday messages. And, of course, just a little more gingham. Thanks for dropping gingham! Tehee! After watching the video provided, I decided to try this technique as it looked like it maybe fun. It seamed pretty simple, but the card that I am posting is not my first attempt. So play a little with papers and colors and see what works for you. This card is very CAS, something that I do not often do, but I wanted to show the technique off and not clutter up the card. See what you think. I used my In Bloom Impression plate first on 120# CS. Then I sponged with Distress Olive ink. Just one color as I wanted the impression to show. Believe me, I tried many colors and I felt that less was best. Next the watercolor technique as shown in the video above. I just adhered that to a black piece and used brads in the corners. That whole piece is placed on the white base with foam tape. Then the work HELLO was cut out and I added Wink of Stella to that. That's it! Thanks for stopping and I hope that you give this a try. These colors remind me of the wonderful mosaic tiles that we saw in Morocco. We are fortunate enough to have traveled there twice, as we have a daughter and grandkids that live in Rabat. I place that I would probably never have dreamed of going to before they lived there. 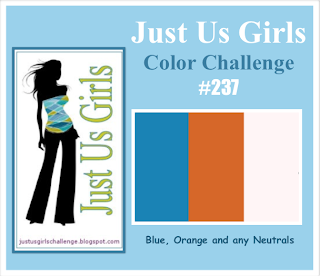 The colors are so bright and the blue and orange are perfect for a Moroccan style card. 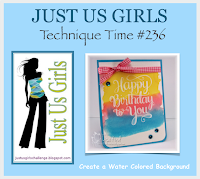 I used an embossing folder from Stampin Up, and the punch that matched. Punched out several blue and orange images and adhered them in a random style. With the help of the Pretty Patterns 2 stamp set, I added the designs to the images with black and Sweet Mango ink from Gina K. The Thank You is from a Simon Says stamp. Last, a sprinkle of white iridescent sequins. You can see the style of architecture and tiles that I was talking about. Thanks again for stopping by, I have a surprise coming up soon. It is Easter Sunday and we are invited to dinner at friends later today. Since I spent Friday and Saturday with my family having an amazing time with them, I am filled with the gratefulness that family brings. Daughter, grandkids and I when on a road trip to visit my son and daughter-in-law. Weather was good and I have great memories. But I also had a card started for the Mod Squad challenge and I was itching to finish it up today. Thanks, Mod Squad team, for letting us use any stamp sets, as I again went back to the oldies. This is a Stampin Up set called, Reason To Smile. I did lots of embossing for this card and even die cut a double HELLO to add to the bottom. My cardstock is Gina K.
Thanks for stopping by and hope your day is joyous and you have wonderful memories to be made. Simon Says Monday and Wednesday Challenge. 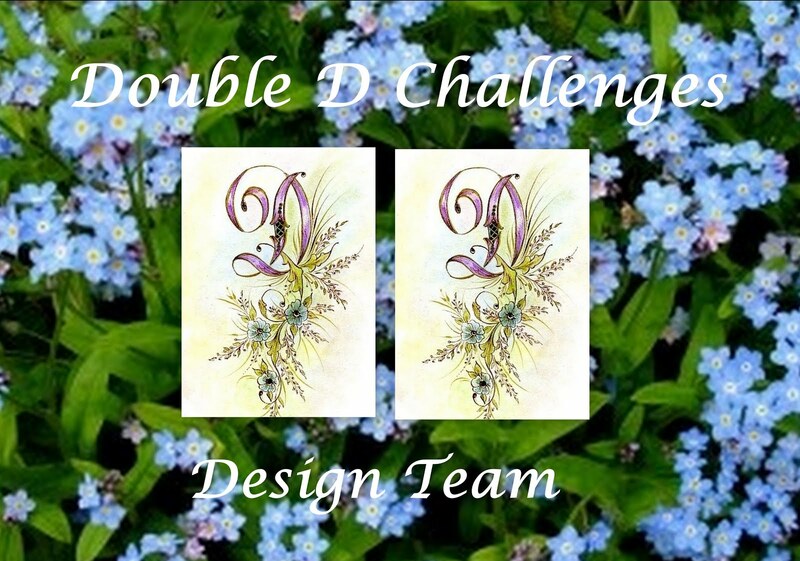 Today I am posting two cards for the Simon Says challenges. The first one is for the Monday challenge, Winged Things. I made this watercolor BG and then stamped it with the branches from an Inkadinkado set. The birds were cut out and popped out for effect. The beautiful sentiment if from a flourishes set called Passion Flowers. I chose the cute fox from Newton's Nook called Sweetheart Tails. She is colored with Copic and that heart border is part of the set. I think that fox is female. Thanks for stopping by and please have a joyous holiday weekend. Believe it or not, I started out with a watercolor technique on this BG. Then stamped the butterflies in Ocean Mist ink for my BG paper. With many spellbinder dies and some fussy cutting, I made this card. I actually had a few of these butterflies cut out for another project and this one just fit perfectly. Lots of sponging with Ocean Mist and Moonlit Fog on the yellow CS, I got the more green color that you see. I am entering this card in the JUGS challenge this week, as the technique is to create a watercolor background. This is a 4 X 4 card and I will need to make an envelope for it. More fun! There is still lots of time to play in the challenge. So get your watercolors wet!!! 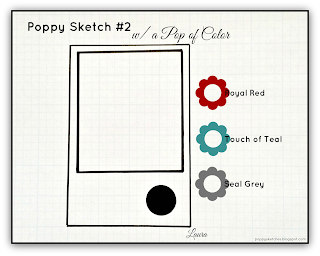 This is the second challenge for Poppy Sketches and it has this wonderful Pop of color too. These were fun to work with and I will probably use them again. I started out with a watercolor base cardstock and used Moonlit Fog , Barn Door and Teal inks and created a BG. Then I used black embossing powder to stamp the image, Wild Roses. I cut that panel down and mounted it on to a teal panel that has scored lines on the bottom. All of this is then adhered to a Moonlit Fog base card. I made the medallion on the bottom, by heating 4 layers of silver embossing powder and then stamping the fly on it. Cool! A little tag is added to that with baker's twine wrapped several times. Three black pearls to finish this one. Thanks for stopping by and as always, I do appreciate the comments. Have a great day! Just a cute card today, nothing great, just cute. 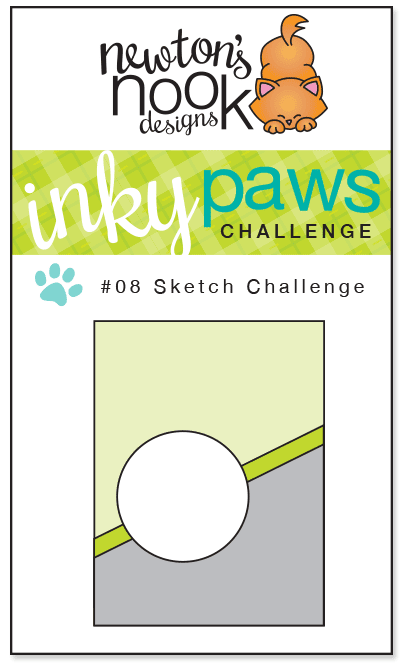 I decided to make a card for the JUGS challenge this week which is a sketch challenge. Thanks for stopping by and hope you have a great day. I really love to make it myself and this paper turned out to my liking, so I had to turn it into a card. I took a piece of watercolor paper and just started playing. I took an old set from SU called Doodle This and stamped with white embossing powder. After that was heat set, using my grand kids set of watercolor paints, I just washed paint over at wet paper. I had an opportunity to watch an artist do water painting and she just laid on the water. Lots of it. That's what I did and then let that dry. I like what I got so much that I stamped more flowers. All with the same process. These I cut out to add to the front of the card. Everything on this card is sprayed with fairy dust, my own homemade fairy dust. ( recipe to follow) Added some enameled buttons and the sentiment was embossed with silver. I had to tell you that this whole card sparkles, but ever so gently. Just like a fairy would. Lol! Ok, here is the simple recipe, and it is from Jennifer McGuire and a recent video that I watched. shake well and used to spray on anything. Give it a try and see what you think! As always, thanks for stopping by and hope your day was as fun as mine was. I did my first car rally today. We completed and were not the last ones in, and there was no yelling! I was prepared for yelling, but it didn't happen. We ended by going out for lunch, always a nice ending. 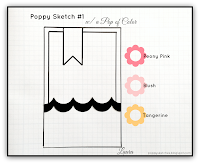 Poppy Sketches is a new blog and this is their first challenge. It is a biweekely challenge, so you have lots of time to play. Use this sketch with a Pop of color. The colors are: Peony Pink, Blush, and Tangerine. Here is the card I made for this first challenge. This is Emma, a digi. But I am having fun with these images as I find that I can change them to fit the image that I want on my card. I wanted Emma to hold balloons, she actually had a bouquet of flowers. So I left those off and drew in an arm and hand to hold the strings of a balloon. The card base is tangerine, on the bottom I cut a strip of DP from Gina K, Petals and Wings. On top of that is a blush strip of CS cut with a scallop die. Emma's dress is blush as well as one of her balloons and the other is a peony pink. Wink of Stella makes them sparkle. I used the balloons in place of the banner in the sketch. This will probably be a birthday card for a little girl. Have a great weekend, we are doing a car rally tomorrow. Tom is the driver, and I will be the navigator. I am sure there will be a lot of yelling going on in our car. But all in good fun. I hope! 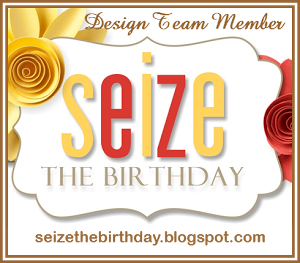 Make a birthday card and enter for a chance to win $100. I'm in with the other 500 people that will be entering. It's just more fun. This is a masculine birthday card. Thanks for stopping by and have a creative crafting happy weekend. I have not needed to make too many baby cards recently, or for a long time, but I did have a stamp that I could use. Who couldn't be inspired by those cute little baby legs and booties. The second card is quite different, but I saw a monochromatic card recently, and I wanted to try that. I started with Ivory CS , added a layer of Moonlit Fog that was embossed with a folder that looked like writing. The image is stamped in the same ink and colored and sponged. This stamp set is from Flourishes and is called From the Desk of. No longer available, but a design of Marcella Hawley. I took some twine and inked it the same color and then added the pearls on the top right. I really like this one. Hope you do to, let me know. it's pretty sunny here in my craft room. 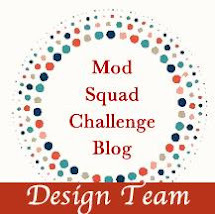 Mod Squad Challenge Let's DIY!!! Wow! I think that making your own background is such fun to do. I have lots of stamps sets to be able to do that. I already had a water colors piece that I was playing with, and as soon as this challenge appeared, I know what I would do. But I have two cards ready to enter today. The first one is the water color done with stencils and Distress Inks on watercolor paper. I really didn't want to cover it up, so I cut out the center of the tag, and heat embossed the sentiment. Scattered black gems. I had an idea about this sketch that I wanted to try. Nothing wrong about entering a challenge twice, right? I took a side view of this card as I wanted to show how I used the sketch as part of the front of the card. I used a die for the border and cut out the circle on the front of the card. The DP was pieced on to the circle and the inside of the card. Cute Newton is there front and center. It was fun. Today is a rather dark, rainy, cold day. A great day to be inside crafting. So just a warning, there maybe another post today! I am having a blast making cards with these stamp sets from Newton's Nook. I won last month and got a gift certificate and bought some more of there new release stamp sets. I used this adorable duck from the Spring Showers set. Also, this challenge is a sketch challenge. Here is the sketch. This a one layer card that I masked off the bottom and used Teal Color Shine Spray on the top. Then placed strips of DP with a circle from Echo Park 6X6 pack, Paradise Beach. The cute duck is colored with Copics, and his umbrella is paper pieced with the same DP. See those rain drops, well they are from the same set as is the sentiment. There is lots of time to play this challenge. Lets see what you can come up with! Thanks so much for stopping by and I hope you have a great day.